2014 Grammy nominee jazz artist Boney James. Shula’s Hotel & Golf Club. Later that evening, Jazz in the Gardens will host an inaugural Friday night opening party at Calder Casino; the headlining performer will be named at a later date. 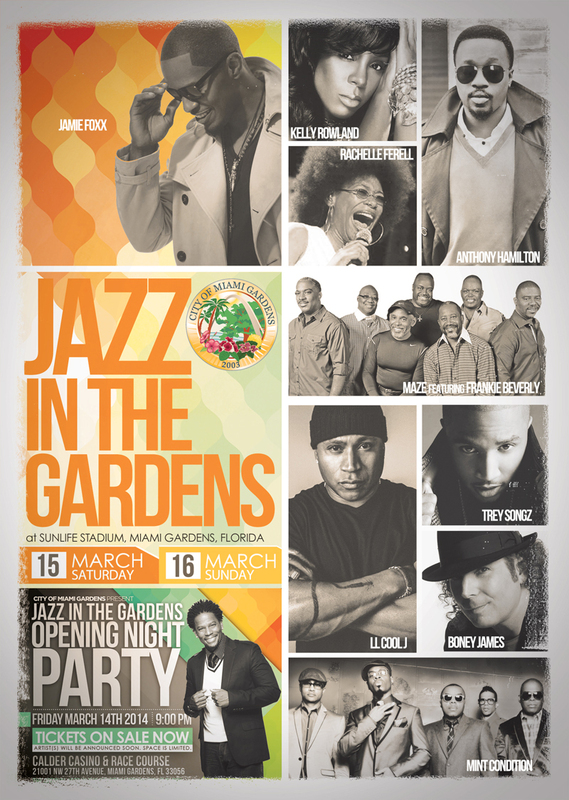 http://www.facebook.com/jazzinthegardens, follow twitter.com/jazzgardens and instagram.com/jitg9 #JITG9.